The pall that had descended over the North is gone, and a new day has dawned on a victorious Mithral Hall, but no matter how bright things seem on the surface, Drizzt and his companions know that what lurks just under their feet remains steeped in evil and charged with unimaginable power. The dark elves of Menzoberranzan, including the powerful Archmage Gromph, aren't done with Drizzt yet. And consumed by their own power struggles, feeling backed into a corner, the drow may just be desperate enough to call on demonic forces from the deepest reaches of the Abyss and unleash a disaster even the Underdark could never have prepared for. 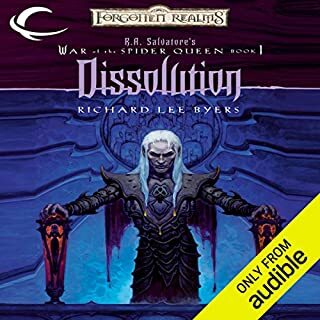 Archmage has everything Drizzt's fans crave: action, adventure, characters that resonate with equal measures of warrior spirit and deep compassion, and no shortage of wicked dark elves! ©2015 Wizards of the Coast LLC. 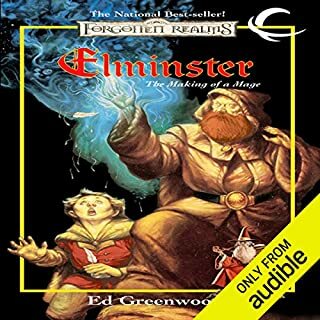 (P)2015 Audible, Inc.
Had me hooked and wanting more. Looking forward to Maestro. Spells and wizard power rich. I almost gave up on Salavatore. I really hated the whole Neverwinter plot line with Dahlia and Drizzt. 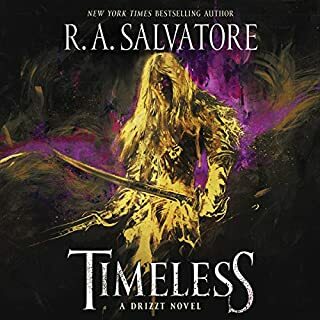 Drizzt was so filled with bitter angst that I felt like I was reading the Twilight saga. It was pointless and small minded and absolutely not up to the brilliance Salvatore has shown in the past. In the last series where the companions of the hall are reborn, there was some semblance of normalcy brought back to his writing. It's almost like Wizards of the Coast sat him down and said..."look man, we aren't sure what you've been smoking but we really need you to get back to basics because that is what the people want"
So he wrote what we wanted and he wrote it well. 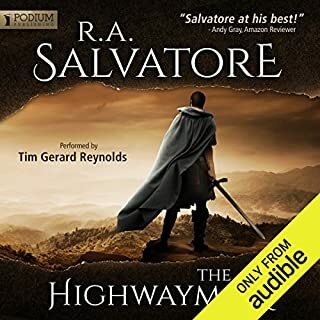 Archmage hails absolutely back to the brilliance Salvatore is known for and is quite literally his finest novel since Homeland which is his best work. This is not to be missed and I'm so glad Salvatore is back. Hard to believe Salvatore can keep pulling it off! Great storytelling and excellent action scenes! I liked the complex development of relationships between all of my favorite characters from previous books in the series. If you are a follower of this series you will be very pleased with how good this one is. If you are new to this series, hold on, you are in for a ride. Anyone that has read all 30 novels up to now is likely thrilled by this. 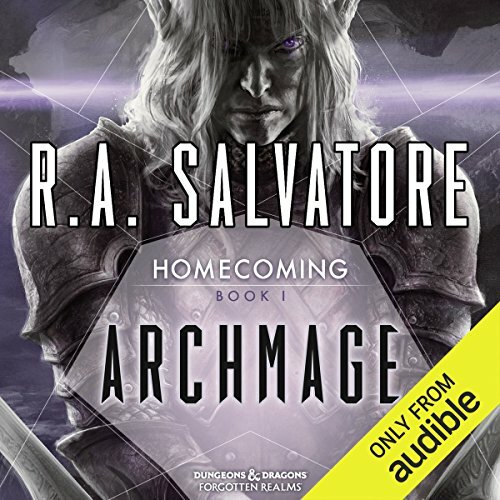 What was most disappointing about R. A. Salvatore’s story? I have gone through the first books up to where Matron Baenre's reign ends. I'm aware of other Drow houses and characters like Quenthel from the War of the Spider Queen series. But that made things really confusing. There are so many characters that come and go and are doing stuff that I have no idea what is going on. That's not unreasonable since I've got such a huge gap I skipped over I guess. As characters talk/think about events, you can't help but notice that the series is following (or driving) the Dungeons & Dragons story/product line, and that becomes a real irritant too. Why is everything on Faerun tied to Drow antics? And what in the world is going on in this story? Bruenor is being a belligerant jerk until other Dwarves - who all revere him for some reason - just go along with whatever his desires are. Jarlaxle is apparently not quite BFF but might as well be. Cattie-Brie is a completely different character now, as is Wulfgar, so I guess reincarnation is a thing that I missed, but I don't know why that is a thing if the characters change completely. Just make new characters. There certainly are a ton of those in this book already, what's a few more? Why can't we let Yvonell go, but we have to have her memories in two different characters? Drow politics are all but moot now and that's one of the best parts of the older books. It's like I stumbled into a totally different series. It's fine, though I miss having more Matrons in power to argue with each other. Bevine handles them so well. And I can't help but notice that Gromph sounds very similar to Jarlaxle now. Not for me, but for someone fully-versed on the series this is probably excellent and I'll bet the others after this are great too. 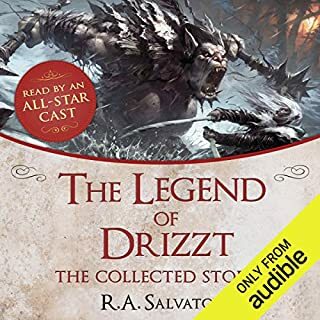 another great addition to the drizzt series. exciting, heart breaking at times and oh so thrilling! love love love the book! and as always, bevine is outstanding! About as fun as reading congressional archives. Dritz is barely a minor character at best. The political intrigue is between unlikeable faction. There are few key characters to even vaguely relate to. Go back to the earliest stories and leave this alone. I have always enjoyed Salvatore's writings, but this one was bizarre. I think the story in his head was good, but it did not make it to paper. I started it several times, but could not understand where he was taking it. It was also very dark. 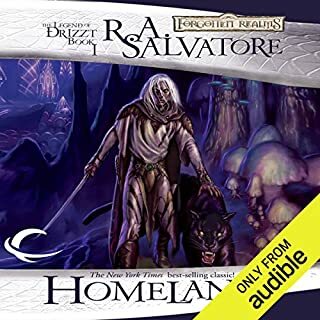 R. A. Salvatore always creates such lovely words and stories to contain them in, and this book was no exception to that rule. The combination of Bob and Victor brings every character to life. An excellent enjoyable listen. If you could sum up Archmage in three words, what would they be? Bruneor Battlehammer, following and understanding his decisions through the book is explained expertly by RA Salvatore. Which character – as performed by Victor Bevine – was your favourite? Ok but the constant battle descriptions tho good leave little space for any story or character development. Well read Bevine, great continuation of a great trilogy. Can't wait until I have time to read the next installment.